I just started watching season 2 of Daredevil on Netflix and I must say I'm really liking it so far. 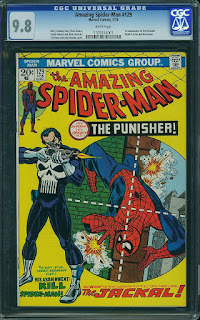 As most of us know, season 2 introduces us to Frank Castle, also known as The Punisher, and Amazing Spider-Man #129 has his 1st appearance. 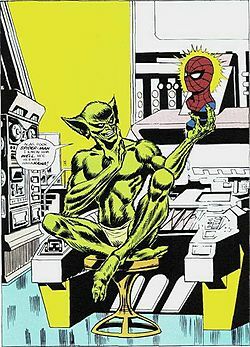 Amazing Spider-Man #129 also has the first appearance of Miles Warren as The Jackal. The Jackal isn't a hugely popular villian in the Marvel Universe, but he does play an important role in the Spider Clone saga, but that is another story that I'll get to at another time. Just in case you were wondering, the first appearance of Miles Warren is in Amazing Spider-Man #31. The Punisher starts out as an antagonist for everyone's favorite web slinger. He's hired by The Jackal to get Spider-Man out of the picture, but eventually, The Punisher realizes that Spidey isn't the bad guy that The Jackal made him out to be. There's no shortage of graded copies of ASM #129 out there. There are a staggering 6956 copies graded by CGC so far. I'm sure there are even more with CBCS and PGX copies out there. Unfortunately there isn't any census data from those two companies. Hopefully they will have a census soon. There are 91 copies graded at 9.8 NM/M by CGC. Wow!! Of those 91 copies, 4 are Signature Series and 1 is a Restored copy. You should have no problems finding a nice high grade copy to add to your collection but don't expect it to be cheap. Even with a large number of graded copies out there, Amazing Spider-Man #129 is a very sought out comic and has been for a long time. 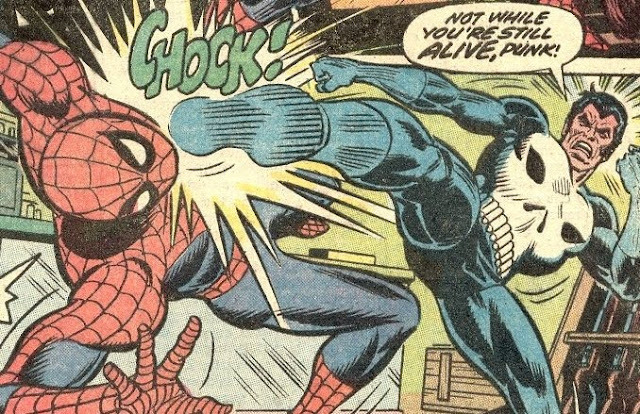 The Punisher is definitely a lot of peoples favorite anti-hero. 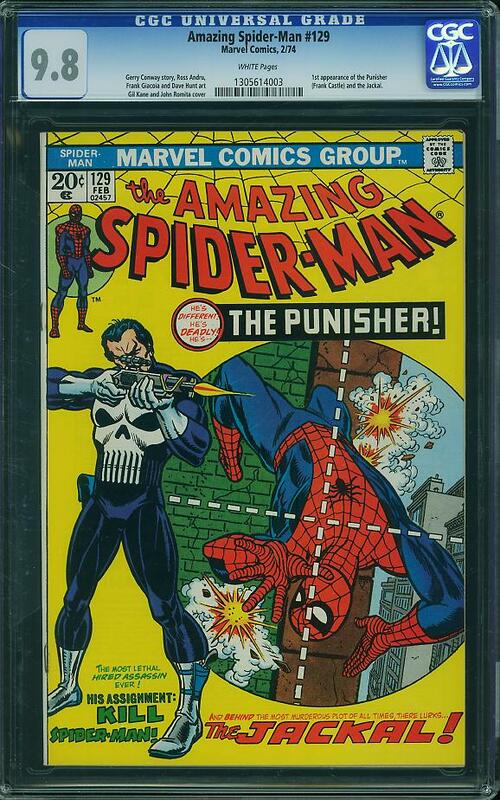 If you're looking to get a nice high grade copy you should expect to shell out some bucks for it as CGC 8.5 VF+ copies are starting to sell around the $900-$1000 range and CGC 9.4 NM copies are going for well over $2000 now. It's not a rare or hard to find comic but as you can see from the chart on the right, demand for this book is high and all grades are in the green and way above the average sales. You may want to do what I did and take a chance on a raw copy. That could save you a little bit of money, but you never know if you're buying a comic that is complete or if it's been restored. I'll leave that decision up to you.